The ocean takes up over 70% of our planet and contains over 1.3 billion cubic kilometers of water. According to Live Science, it would take a single ship 200 years just to measure the depths of our oceans. That being said, it should be no surprise when we come across a few unexplained things lurking under the waves. In a previous post about underwater mysteries, we talked about some interesting underwater phenomena such as underwater volcanoes and even underwater rivers! But each of these has a reasonable scientific explanation. Here are a few interesting things we have found underwater that aren’t quite that easy to explain away. Many of these structures leave us wondering if they are indeed sunken man-made artifacts, or if they are simply naturally formed geological structures. You decide. 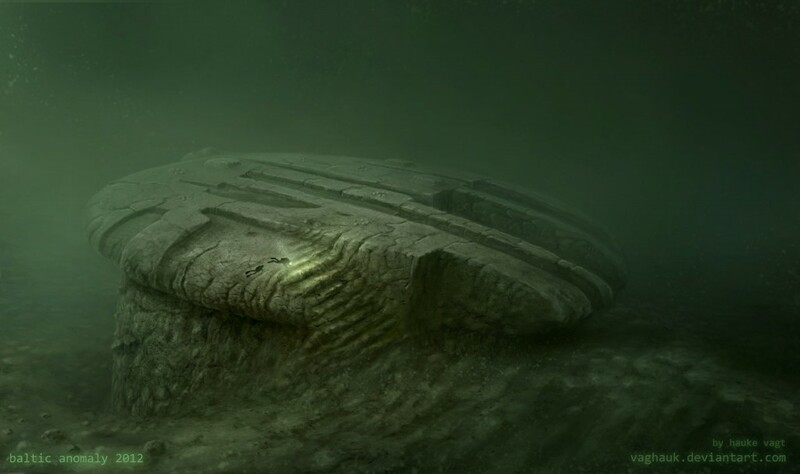 Artist's recreation of Baltic Sea Anomaly. Photo credit: Vaghauk, Deviant Art. Discovered through Sonar Imaging by the “Ocean X” Team, The Baltic Sea Anomaly is an odd-shaped object that rests on the floor of the Baltic Sea. The structure is roughly 70 meters in length and is found about 100 meters underwater. The anomaly seems to have round edges and straight lines, which would be quite peculiar for a natural formation. The object has attracted a range of theories – a crashed UFO? And underwater portal? Less far-fetched theories include an underwater volcano or a natural rock formation. Well, as they say: Extraordinary claims require extraordinary evidence. So far, no one is claiming much, and there isn’t much information beyond speculation. However, the fact remains that we still don’t what this anomaly is and why it’s at the bottom of the Baltic Sea. 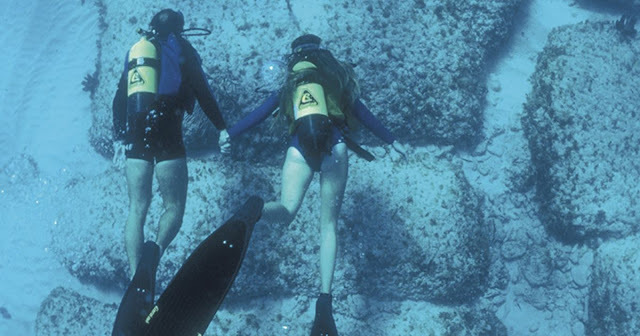 The legend of Atlantis has inspired countless people in the search of this lost sunken city. The Bimini Road is located off the coast of Bimini Island near the Bahamas, and was thought by some to have been the road to Atlantis. Well, Atlantis hasn’t been found – to our knowledge, but that doesn’t distract from the fact that Bimini Road is an item of interest on its own – even if it doesn’t come together with a sunken Ancient Superpower. The Bimini Road, also referred to as the Bimini Wall, is a 800 meter long causeway made of rectangular limestone bricks. Man-made structure or natural formation? Isn’t this the question that consistently plagues us regarding interesting archaeological discoveries? The Yonaguni Monument is a uniquely shaped stone formation of the coast off Yonaguni Island in Japan. The formation stands roughly 150 meters in length and 27 meters in height, with its top level about 5 meters below the surface. The interesting thing about the Yonaguni Monument (or any other underwater structures, if they really are artificial) is that one must speculate when it was built. Resting at a depth of over 30 meters, the monument could have only been built when the area was on dry land. This would have been during the last Ice Age, over 10,000 years ago. At this time, we should have been hunting and gathering and not building monuments. Maybe there is some truth about the legends of sunken cities after all. 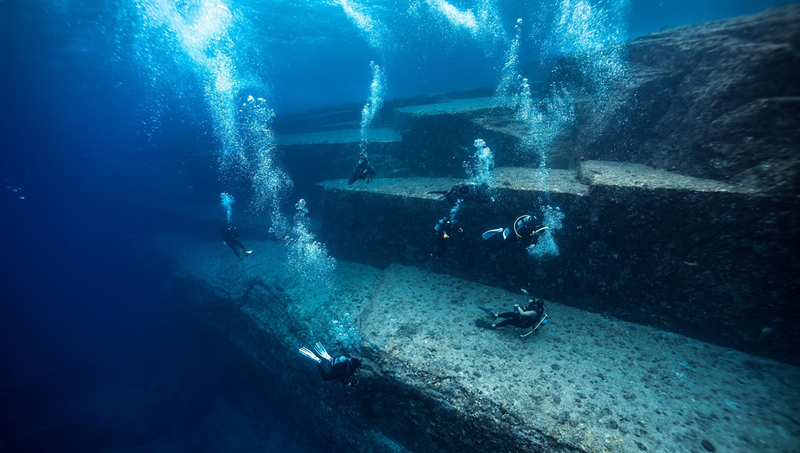 While some geologists say the Yonaguni monument is a natural formation, several features seem to prove otherwise. These include flat surfaces, parallel lines, seemingly carved platforms, and right angles, -- all of which do not occur naturally. Ram’s Bridge, (Also known as Adam’s bridge, but I refuse to call it that because that’s the Colonial name,) is probably one of the strangest man-made vs natural formation arguments that you’ll ever come across. 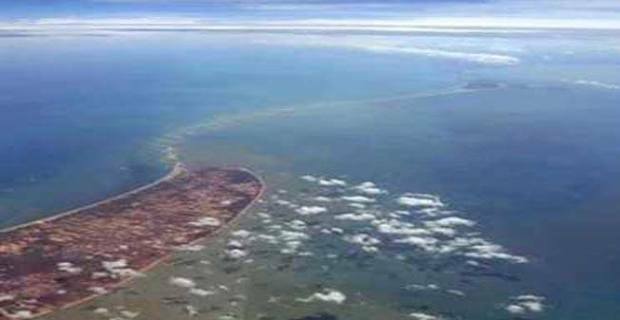 The bridge is a 30-kilometer land bridge between Tamil Nadu in India and Manar Island in Sri Lanka. According to the ancient Hindu epic, “The Ramayan,” the bridge was built by Lord Rama to rescue the princess Sita from the evil King Ravana. Interestingly, the bridge has been dated to about 125,000 years old, which coincidentally (or not coincidentally at all) matches the approximate age of The Ramayan. Origins of the bridge have been heavily debated over the years. The Archaeological Survey of India found no reason to suggest that the bridge was anything but a natural formation, while the Madras High Court ruled that Rama Setu is indeed a man-made structure. 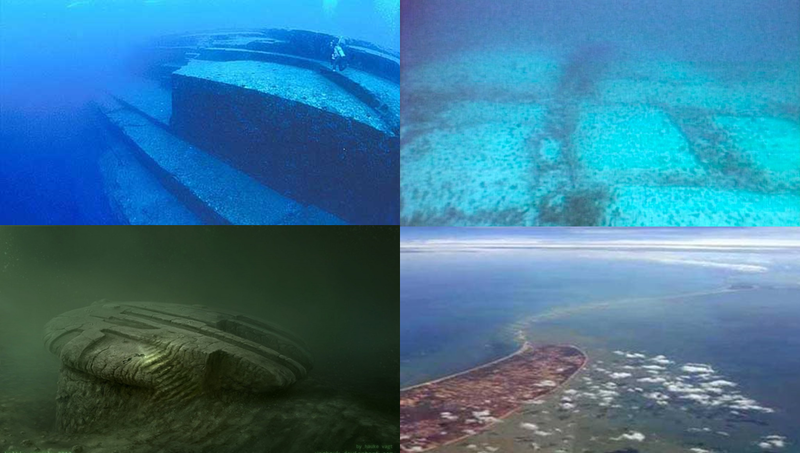 These are just a few of many strange structures that have been found underwater. What is the true origin of these artifacts, but more importantly, who built them? For any of these to have been truly man-made, it would go against everything that we think we know about our own human history. Were there civilisations that came before us and where are they now? Those are just a few questions that may possibly be answered as we dive deeper into underwater archaeology. I just hope that those discoveries can be made in my life time! 1. Novgorod class monitor ship in a larger version?